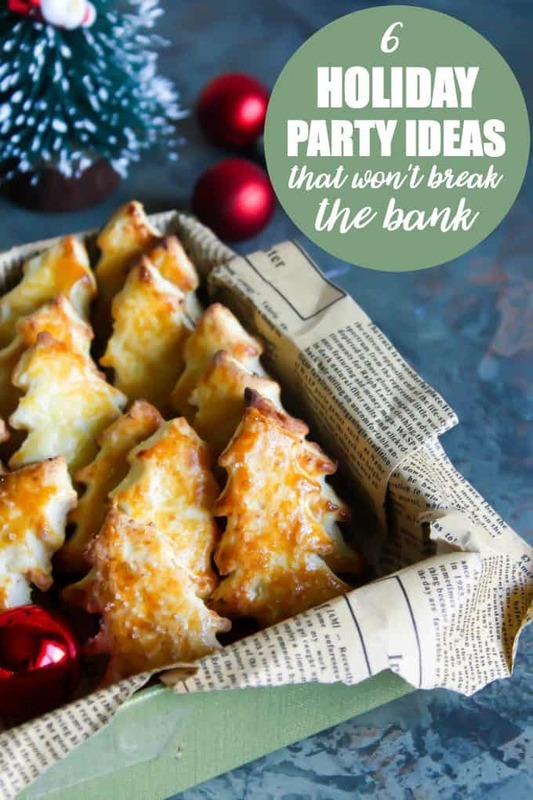 Holiday parties and get-togethers are a tradition, but coming up with ideas that won’t kill your budget are difficult. Everyone is sooo busy and your carefully planned budget is also shot. What to do? Have a look at some of these ideas that would be good for families, and adults (with a slight tweak). 1. Holiday Open House. The beauty of a Holiday Open House is that you set up your party and for a few hours, your guests drop by for a visit and they leave. Some may stay after (usually family or close friends that want to catch up), but everyone is so busy at the holidays, guests can stay for 20 minutes or the entire time without the stigma of leaving early. Decorate your house for the holidays, and prepare or purchase appetizers, serve coffee, punch, hot chocolate or cocktails. Other than replenishing food from time to time, this is a real no stress party. It’s also a great way to accommodate a larger number of guests for a party because it will stay manageable as the guests filter in and out. 2. Cookie Exchange. Invite over a few friends where each makes a dozen cookies for each guest in attendance and everyone goes home with a nice assortment of home-baked treats. Decorate for the holidays, furnish some appetizers, coffee or punch and have a tasting party. This works best with no more than ten to twelve guests, but no less than 5 or 6. 3. Holiday Movie Marathon. Make some holiday treats, invite families or adults, and watch some of the new and old classics. This would also be a good slumber party activity for kids and gives their parents some time for office parties or other holiday plans. Make some cookies, have pizza or hotdogs, and make a festive punch. Or set up a hot chocolate bar (for adults, add some alcoholic components) and let guests make their own drinks. 4. Holiday Crafting Party. This is a party that can actually be planned a little earlier in the season, even before Thanksgiving. Set up some stations for making ornaments, wrapping paper, holiday cards, thank you notes, stocking stuffer gifts, etc. Choose a few different crafts, gather up the supplies, and set up table stations with directions on how to make each craft. 5. Holiday Brunch. Brunch is an easy and not-to-expensive meal to prepare for a crowd and can be planned for any weekend day. Make a sweet and a savoury breakfast casserole, serve cinnamon rolls or homemade muffins, juices, fruit, etc. Plan for two to three hours for the party and most preparation is possible the day before. This is a party that you can actually relax and enjoy! 6. Cookie decorating Party. This is a good party if you have time to make cookies ahead of time. Make a bunch of sugar cookies and gingerbread cutouts with at least a 6 for each guest. Supply the trimmings like icing, sugars, candies, etc. to decorate them, and let each guest take their creations home. Allow some extra for eating, make some savoury appetizers and supply coffee, tea, and punch. Allow for about 2 ½ hours for the party. The holidays are about sharing with others, and a party doesn’t need to be elaborate for everyone to have a good time. Make a budget, and plan your party accordingly. When a guest asks what they should bring, have a list ready so they can help! Your guests will be in a festive mood, and don’t stress. Some of the best parties are the simpler ones. Super suggestions and ideas, thank you so much! I like the idea of having a holiday movie marathon! Thanks for the ideas! My family will all be together for a week before Christmas so we have some great plans made. We start with a Christmas concert that my granddaughter is singing in. The next night we are attending a Teddy Bear Toss Hockey Game. When the first goal is scored everyone throws their stuffie onto the ice and they are collected for charity. Saturday night a Murder Mystery Dinner is planned with an Italian theme. Think the board game “Clue” but in real life. Everyone will be in costume reflecting their character. Sunday a traditional family visit with friends, we’ve been meeting over the holidays for over 40 years. And we finish the week off by decorating gingerbread houses. I look forward to making some wonderful memories. Holiday movie marathon sounds like a neat idea,thanks !